Cirque du Soleil Crystal™ is more than an ice show. For the first time, Cirque du Soleil® pushes the boundaries of performance, redefining the artistic possibilities of ice. Watch as world-class ice skaters and acrobats claim their frozen playground with speed and grace, challenging the laws of gravity with daring acrobatics. Feel the thrill of poetry in motion as our protagonist Crystal’s journey towards empowerment is brought to life on ice. Enter a dreamlike world fueled by her imagination, where boundless creativity transforms the everyday into something extraordinary. 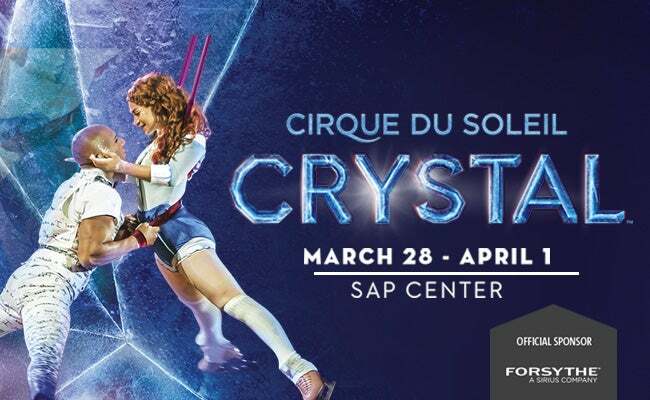 Crystal invites you to suspend reality and glide into a world that springs to colorful life with astounding visual projections and a soundtrack that seamlessly blends popular music with the signature sound of Cirque du Soleil. 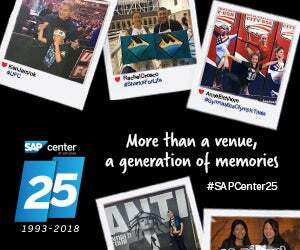 Outlined below are a few "Key Things to Know" about Cirque du Soleil Crystal as well as SAP Center at San Jose. If you have any further questions, please don't hesitate to call us at 408-287-7070. 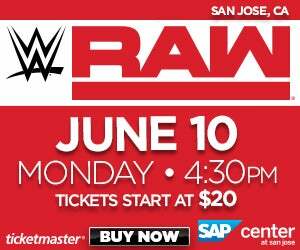 Upon arrival at SAP Center at San Jose, you will have a number of easily accessible on-site parking options for only $15 per car. Additional parking options are available at varied prices and distances from the arena. You can view the full parking map here.